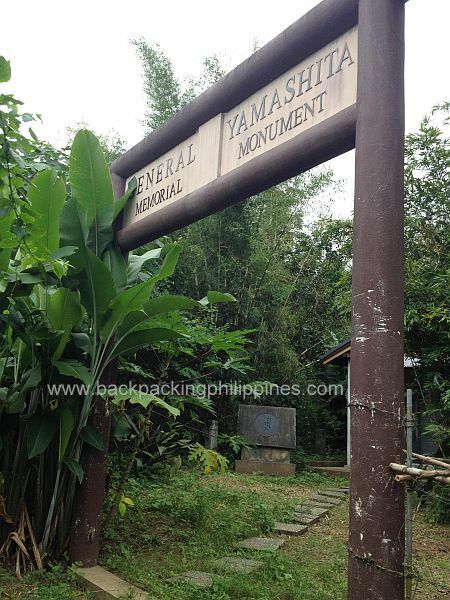 Tourism sites often list the Homma - Yamashita Shrine in Los Banos, Laguna as a tourist spot yet you cannot really find any information about it, even asking supposedly tourism personnel at Laguna Tourism went for naught several times. 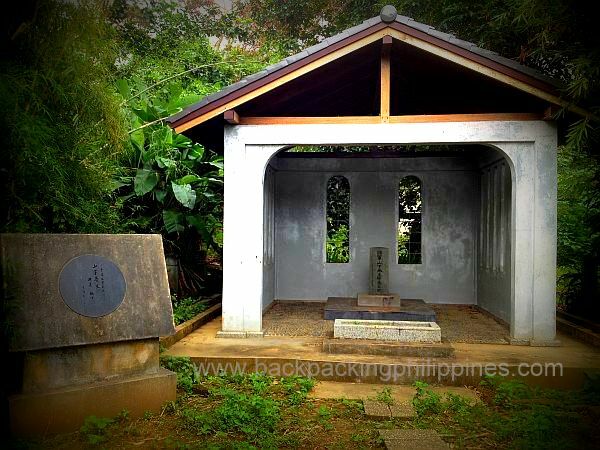 On 23 February 1946, at this site in Los Baños, Laguna Yamashita was hanged. His final words were “As I said in the Manila Supreme Court that I have done with my all capacity, so I don't ashame in front of the gods for what I have done when I have died. But if you say to me 'you do not have any ability to command the Japanese Army' I should say nothing for it, because it is my own nature. Now, our war criminal trial going under your kindness and right. I know that all your American and American military affairs always has tolerant and rightful judgment. When I have been investigated in Manila court I have had a good treatment, kindful attitude from your good natured officers who protected me all the time. I never forget for what they have done for me even if I had died. I don't blame my executioner. I'll pray the gods bless them. Please send my thankful word to Col. Clarke and Lt. Col. Feldhaus, Lt. Col. Hendrix, Maj. Guy, Capt. Sandburg, Capt. Reel, at Manila court, and Col. Arnard. I thank you." 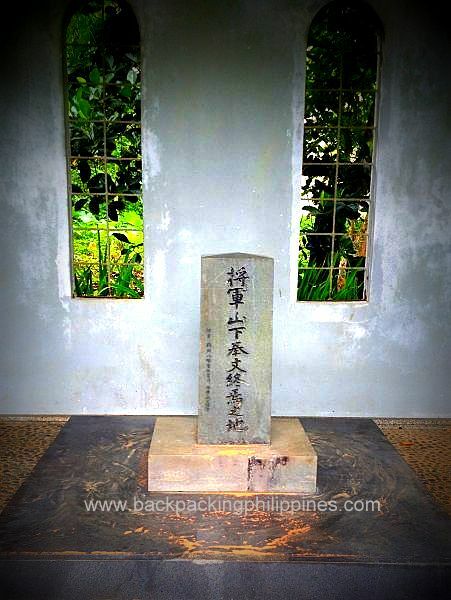 the simple, minimalist shrine for Gen. Yamashita where he was executed. Closing up with the tomdstone marker, it's amazing that Tutubi can stillr read basic kanji he learned in Nihongo class in college after all these years. The third kanji character means "Yama" which means mountain in Japanese and the fourth character was "Shita" which means under or below in Japanese. Yamashita in Japanese loosely means "under the mountain" or at the foot of mountain. Gen. Yamashita was buried at this ssame site but was later transferred to the (in)famous Yasukuni Shrine in Tokyo, Japan where Class A war criminals of Japan are interred. Take a DLTB or HM Transport/GreenStar Express on EDSA, Cubao or Taft Avenue, Pasay City with signboard Sta. Cruz/Calamba. Request the conductor to drop you off at Jamboree Road and new Los Banos Municipal Hall (munisipyo) then take a tricycle to the shrine. lastly, Tutubi thinks the Yamashita Treasure is an urban legend, a hoax. 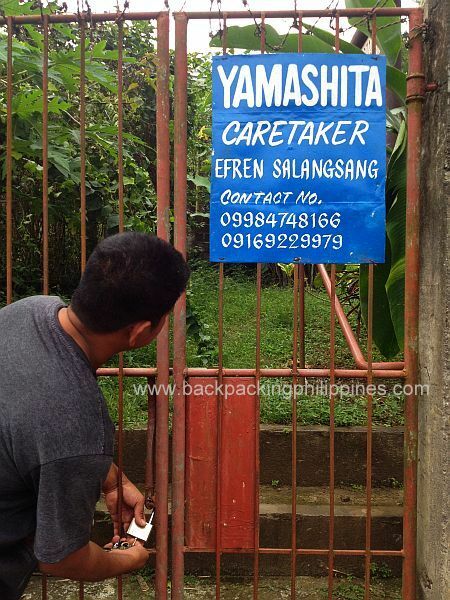 even the Golden Buddha supposedly found by Rogelio Santos and later acquired by Ferdinand Marcos. There's just no proof of its existence, only gossips. The golden Buddha too, if real, should've been reported as a lost treasure by an asian country.